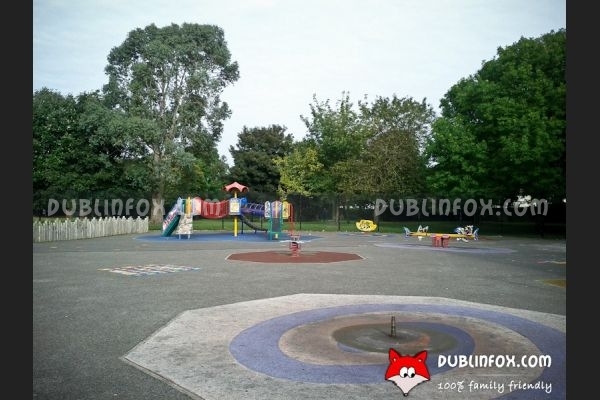 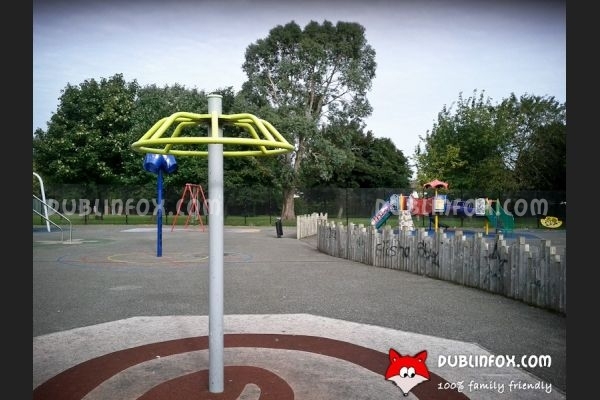 Brickfield Park is a lovely city park in Drimnagh. 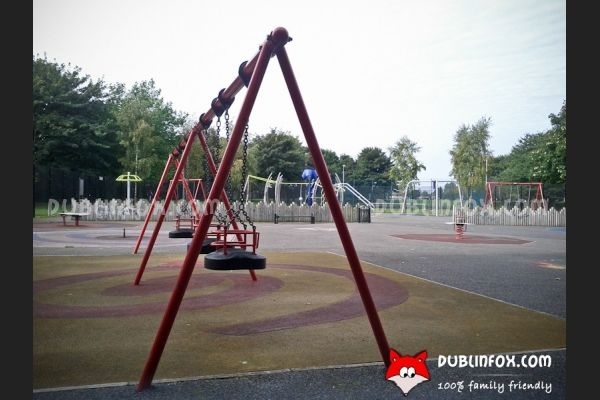 Unfortunately when we visited the playground, it was closed, as it had been vandalised and thus was considered dangerous by the park rangers. 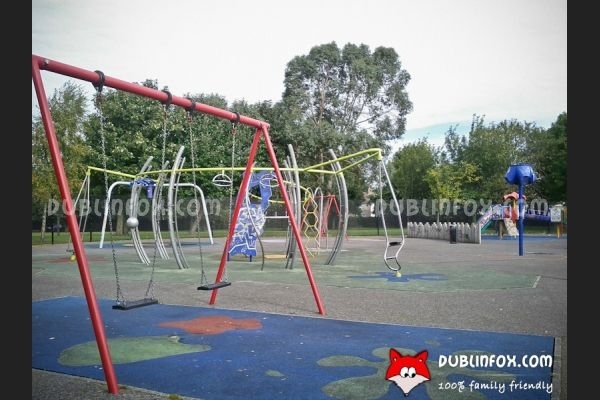 In spite of this, I could take a few photos of the playing equipment through the railings. 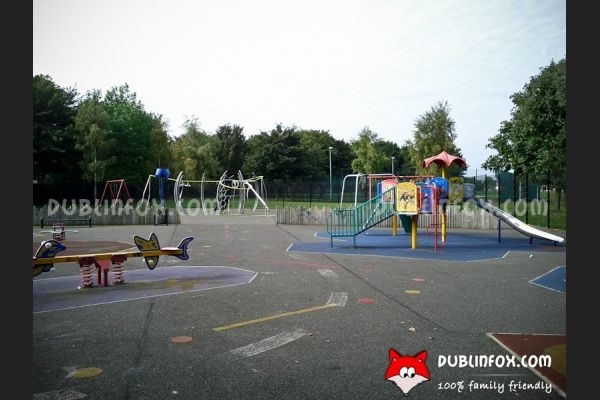 The playground consists of two sections: a junior and a senior play area, separated by a low fence. 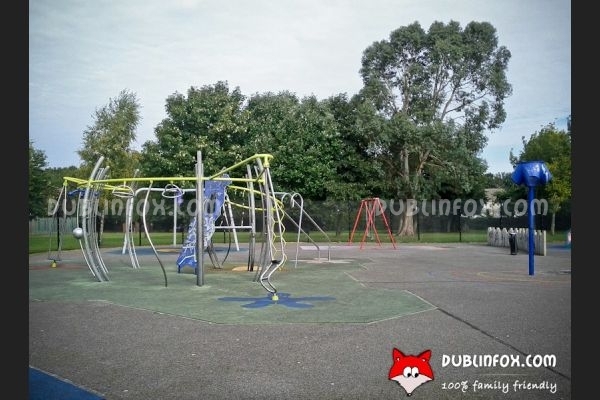 Click here to open Brickfield Park's website in a new window.